Millions of people suffer from TMD or TMJ. Many of those people have no knowledge of their condition or how to seek treatment. 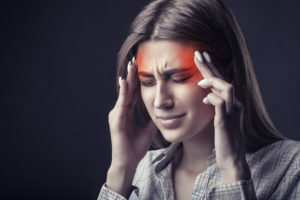 Headaches and pain are the most common symptoms caused by TMJ. Patients have found relief at Cosmetic Dentistry Center, located in Newton, MA, through safe, comfortable, treatments. Temporomandibular Joint Disorder, also known as TMJ, TMD, or TMJD, is a condition that effects the temporomandibular joint. This joint is the main joint of the jaw and is often misaligned, causing the painful condition. TMJ causes headaches, neck pain, and jaw pain, resulting in difficulty to open or close the mouth. Many symptoms of TMJ are mistaken for stress and unfortunately left to get progressively worse. Clenching the teeth puts pressure on the muscles, tissues, and other structures around your jaw. Dr. Edward Walk of Newton, MA has seen patients with broken veneers, fractured teeth, and damaged porcelain crowns, all caused by clenching and grinding. These symptoms can cause temporomandibular joint problems (TMJ). What will happen if TMJ is not treated? The main symptom of TMJ/TMD is chronic pain – not only in the jaw, but also in the teeth, neck, ears, shoulder, mouth, and head. Leaving chronic pain untreated can cause a number of emotional issues and effect the course of patients lives. TMJ has been known to lead to addictions, depression, and alcoholism when left untreated. Patients with TMJ often suffer from bruxism as well, leaving them with damaged teeth and the inability to get a good nights sleep. TMD is a painful disorder that should be treated as soon as it is detected. People who put off treatment are at risk of developing life damaging issues. TMJ is often attributed to signs of stress, leaving many cases of this disorder untreated. If you are experiencing any of the listed symptoms, be sure to contact Cosmetic Dentistry Center immediately. If you grind your teeth at night, be sure to contact Cosmetic Dentistry Center before you do permanent damage to your mouth. 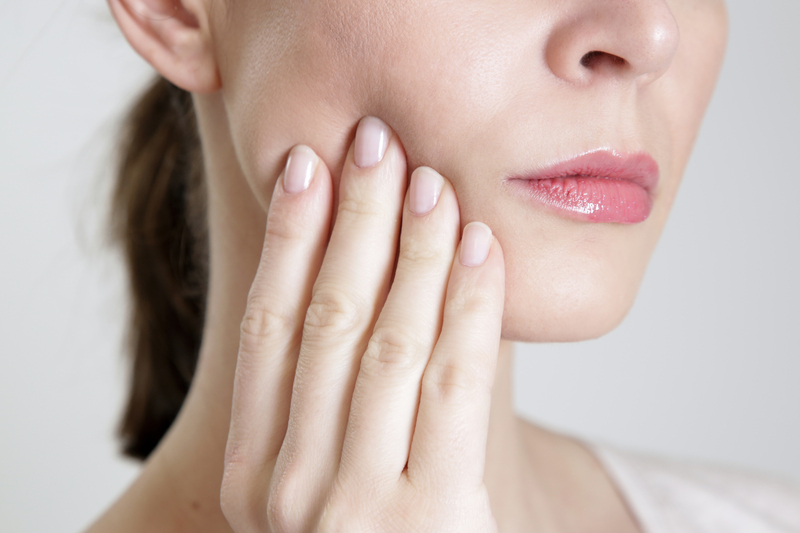 Untreated bruxism could lead to jaw pain, headaches, and TMJ. Dr. Walk will, in many cases send patient home with an overnight EMG testing device to ascertain bruxism, grinding and clenching. The test results usually reveal mild, medium or severe bruxism. Treatment will vary accordingly. 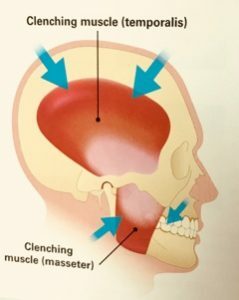 How can I fix my TMJ at home? Avoid eating hard foods like nuts, candies, and steak. What Is The TENS Machine for TMD? The TENS machine, or a transcutaneous electrical nerve stimulation machine, is a device that uses electric pulses to relax the TMJ muscles. The pulses strike the nerve near the joint and cause the muscle to loosen, allowing for pain relief. The electrical impulse stimulate the release of natural painkilling compounds in the human body. We recommend additional forms of treatment to work in tandem with TENS treatment. These additional treatments include living a healthy life, wearing a mouth guard, and relaxing. Dr. Walk usually takes a frontline approach for muscle relaxation utilizing Botox. This is very helpful and usually reverses symptoms in as little as one week. Neuromuscular toxins (Botox) in combination with mouth guards do wonders for these issues. How Do Mouth Guards Help With TMD? 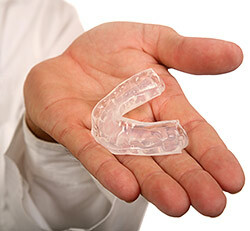 Night guards are an easy way to prevent the wear and damage that teeth-grinding causes over time. Custom-made by our office from soft material to fit your teeth, a night guard is inserted over your top or bottom arch and prevents contact with the opposing teeth. To prevent damage to the teeth, mouth guards or splints are often used to treat teeth grinding, clenching, and TMJ disorders. A splint may help protect the teeth from the pressure of clenching. Some people find that the symptoms go away as long as they use the splint, but pain returns when they stop. The splint may also not work as well over time. There are many types of splints. Some fit over the top teeth, some on the bottom. They are designed to keep your jaw in a more relaxed position or provide some other function. If one type doesn’t work, another may. A splint called the NTI-tss fits over just the front teeth. The idea is to keep all of your back teeth (molars) completely separated, under the theory that most clenching is done on these back teeth. With the NTI, the only contact is between the splint and a bottom front tooth. Contact Cosmetic Dentistry Center immediately if you are having trouble eating or opening your mouth. Keep in mind that a wide variety of possible conditions, from arthritis to whiplash injuries, can cause TMJ symptoms. Therefore, see your dentist for a full evaluation if self-care measures do not help within several weeks. If you believe you might be suffering from TMJ, please download the form below and fill in questions. You can bring this with you during your consultation with Dr. Walk. Contact the office at 617-965-7673 to schedule an appointment.